I was bored. I want to be entertained and laugh then I read rave reviews about this book on internet. I end up order it on Periplus, but as soon as I read it I realize that I've made a mistake. Did you hear the one about the lion who ate clowns? I don't have any f**king idea why the joke above is funny. I really don't get it. Maybe I'm not smart or something. But joke and humor is really dependent on your culture and language. 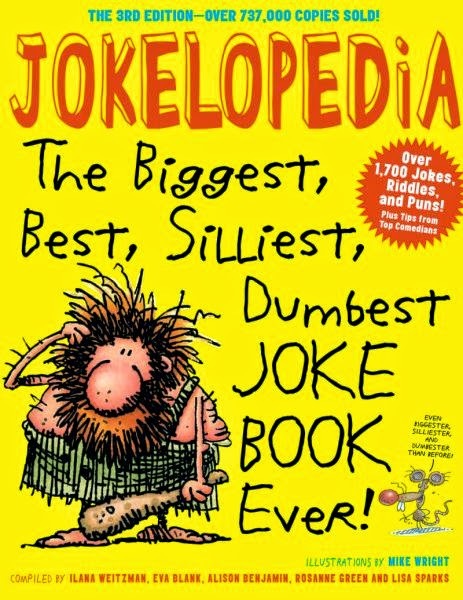 As an Indonesian, many American jokes is not funny and I only realize it after read Jokelopedia. But of course there's also some jokes in this book that I think are really funny. In fact, I understand about 70% of the jokes here. But I still disappointed that I didn't laugh as often and as loud as I intended. Overall, I don't know whether to recommended this book for you or not because English is not my native language, hence I only get 70% of the jokes. Everyone's taste of humor are different so you have to see it by yourself.